Looking to Improve Climate at Home? 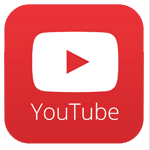 Upgrading to Low-E Windows Can Help! Older windows can allow breaches between indoor/outdoor climates such as allowing too much sunlight to pour into your home, making it more difficult and costly to cool your house with air conditioning. Updating your windows to energy efficient windows (also referred to as “low E”) can improve climate and make the sun work for you, not against you. 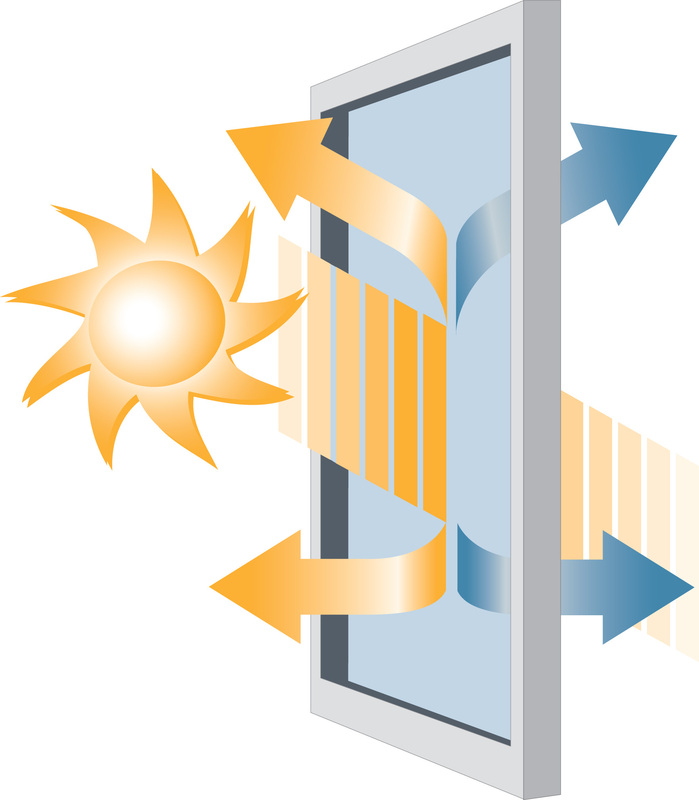 A low E glass window (which stands for low emissivity) is simply a windowpane coated in microscopic layers of metallic oxides to reduce emission of radiant thermal (heat) energy. This leads to greater energy efficiency, maker it easier and cheaper to heat and cool your home. How does it work? Low E windows are energy efficient because any material that reflects, absorbs and emits radiant energy is going to save energy. When the sun is beaming on your windows, its hot rays are streaming into your home increasing the internal temperature of your rooms. 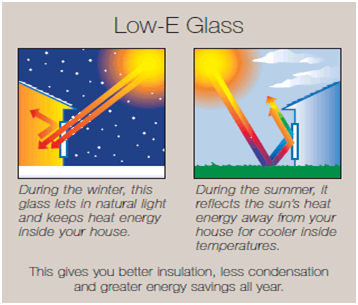 This is where Low E windows help you improve climate control – the low emissivity glass has reflective properties that bounce or reflect the sun’s hot thermal rays away from the building rather than allowing them to enter through the window. This unwanted heat now stays outside of your home, making it easier (and less expensive) to maintain a stable, comfortable climate. Low E windows allow as much natural light into the house as possible. At the same time, by protecting your home from unwanted UV rays which can burn your skin, fade your carpets, and damage your furniture, its helps maintain the longevity of your internal property. These energy efficient windows control radiant heat (infrared light) as it enters and leaves a room. So they will also keep your house warmer in the winter by reflecting certain segments of the sun’s light spectrum back into the home, and cooler in the summer by reflecting particular sections outside. This saves on unnecessary utility expenses while creating a more comfortable living environment. Interested in a free consultation? Contact CA Home Solar at Info@cahomesolar.com or 818-650-8169. Want Reliable Funds for Energy Efficient Home Upgrades? Look no further.